Trousers Size Chart: Finding the right trousers size is rather difficult. In addition to the US, UK and EU sizes, there are also specific sizes for men, women, and children. With the following instructions, you will learn how to calculate your best fitting trousers size and also a lot about trousers size conversion. Classic clothing sizes: These sizes are used in Europe, such as size 40 for women and 50 for men. As a rule, sizes of clothing items such as smart suits are shown in classic clothing sizes. International sizes: There are various international sizes. Apart from the English, French and Italian sizes, there is the international US size system ranging from XS to XXXL. 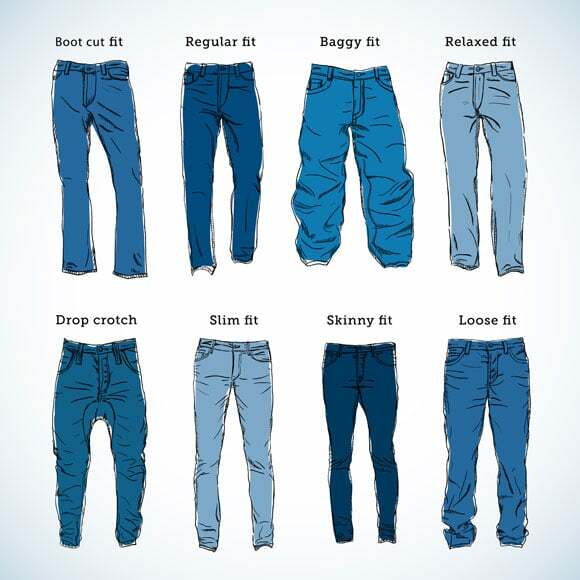 Jeans sizes: Trendy brands and youngster labels especially show the waistband and length sizes. These two sizes are usually separated by a forward slash such as, for example, 28/30. Jeans sizes are based on inches and not centimetres. There are three different measurement systems, whereby each brand or producer uses a different system. It is best to take a few minutes to find the right trouser size. In this way, you can save yourself the hassle of exchanging it later. The trouser size charts below will guide you the way. 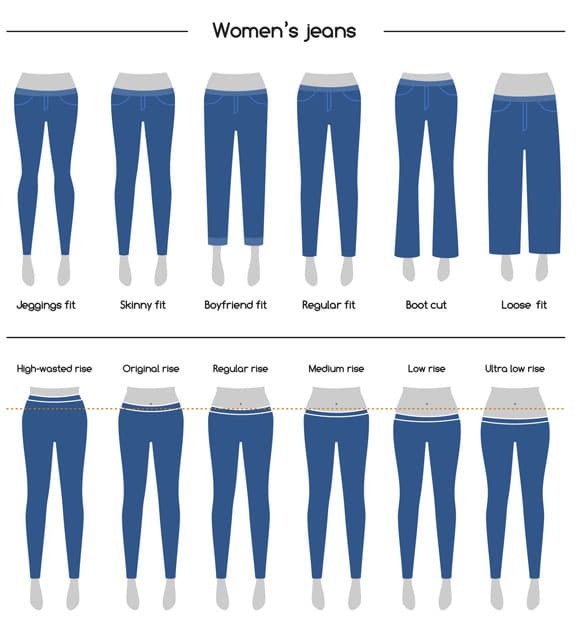 Different cuts and fits for women’s trousers. From Skinny Fit to Boot Cut to Loose Fit. The height of the trousers also determines the exact measurement. Trouser Size Conversion: To convert one size into another size, first choose the trouser size you know (e.g. 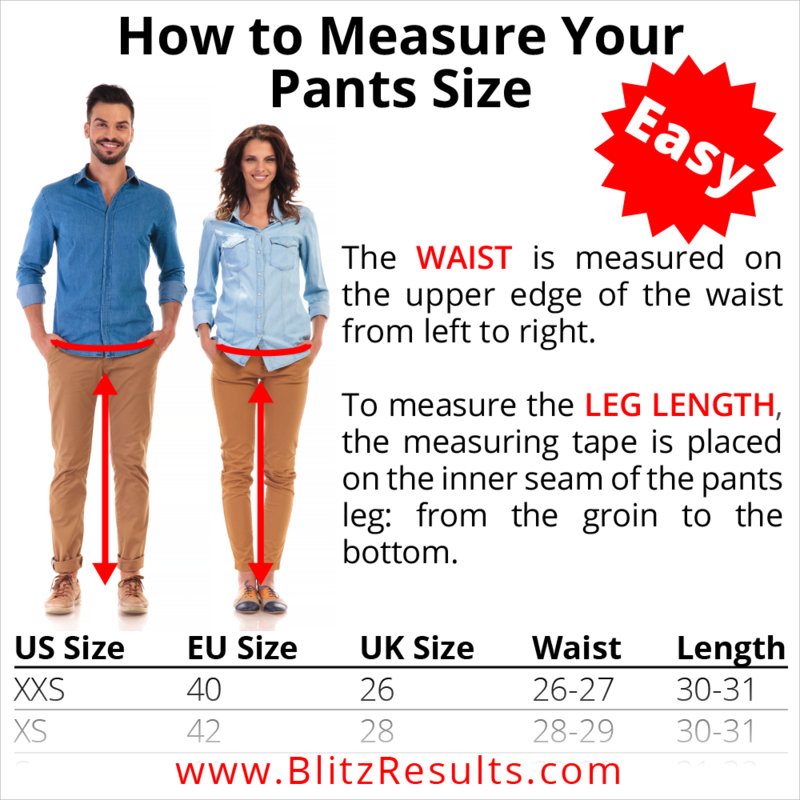 the US size) and then choose the corresponding size by moving horizontally within the trouser size conversion chart. Trousers with classic clothing sizes are a classic fit and usually stand just below the navel. The starting size for men is 40, with a waistband width of between 66 and 69 centimetres and stride length of between 76 and 78 centimetres. The largest men’s size is 74 and the measurement system increases in steps of 2. The classic trousers size for men correlates with the wearer’s figure. There are different size charts for different figures. The figure it suits best can be determined by means of the waistband as well as the stride length. Both values can be determined with a tape measure. To measure the waist, you need to place the tape at the narrowest midpoint of the body. Stride length is determined by applying the measuring tape along the inside of the leg. You have to measure from the stride length till your foot. If you want to buy suit trousers, you should make sure that the measure stops just before the ground. In this way, you will ensure that the suit trousers fall neatly on the top of your shoes. This is different in the case of casual trousers because it is sufficient for you to measure half the heel height. This also ensures that the trousers are not soiled too quickly – for example, during outdoor trips. If you are a man who prefers a slightly higher waistband, you should opt for a trouser in a so-called belly size. In order to determine the correct belly size, you have to measure approximately at the level of the navel. The belly size system is designed according to the regular size system but is given in odd numbers. Belly sizes start at size 47 and end at size 79. Have you got the beginnings of a paunch or slightly shorter legs? Then maybe a pair in a chunky size is right for you. Trousers in chunky sizes are worn below the belly, usually with a slightly shorter leg length. The size system starts at size 23 and ends at size 34. Are you a slim and tall man? Then you should fit in so-called slim sizes quite well. The stride length in slim sizes is between 83 and 92 centimetres and the waistband width is between 71 and 104 centimetres. The sizes start at 88 and end at 114. The only drawback is that American sizes are based on units of inches. In terms of the size, all well-known manufacturers give two measurements. While the first measure is between 26 and 48 and indicates the waistband, the second measure is between 30 and 36 and reflects stride length. Men’s trousers are produced in many different waistband and stride length combinations so that you can easily find the right trousers for your individual physique. Trousers are measured in centimetres in Europe and inches in the USA. The size of the waistband is usually indicated with a W. For trousers with a value of W 25, this is taken to mean a pair with the smallest, most common waistband width, namely 25 inches. This waistband width is especially for women’s jeans, but can be found among jeans for boys and corresponds to a waistband of 63.5 centimetres. The standard minimum value for men’s trousers is W 28, with waistband widths of up to W 40. The leg length is also indicated in inches and is marked with an L. Just as with classic clothing sizes, the inner seam of the trousers is measured as well. In principle, the length of men and women’s jeans are not different and range from a length of 30 inches, i.e. L 30, to a length of 36 inches, i.e. L 36. Individual manufacturers also produce in intermediate sizes, which are indicated by odd numbers. 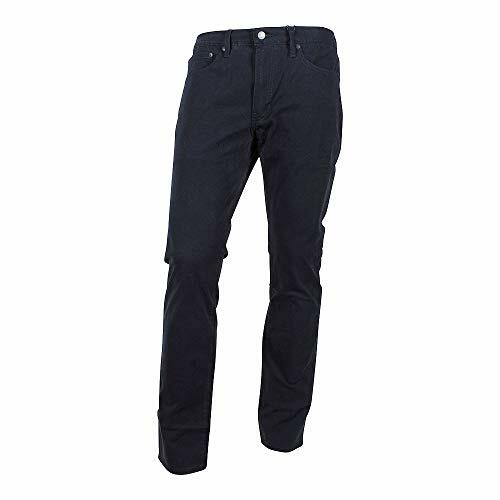 The combination of two numbers, which can be found on jeans and other casual trousers thus identifies the waistband width as well as stride length. A pair of trousers in size 30/32, therefore, has a waistband of 30 inches and stride length of 32 inches. If you want to convert the size to the metric system, you must use factor 2.54, because an inch is equal to 2.45 centimetres. Therefore, a pair with a length of 32 inches has a stride length of 81 centimetres. Aside from the size of the trousers, the cut and fit are the most important features. If you would like to convert an American clothing size into a European clothing or trouser size, this is child’s play, because you only need to add a value of 10. In other words: A pair of trousers with the American size 40 corresponds to a size 50 in Europe. If you want to know which European trouser size corresponds to the British trouser size, you need to do the same as you did with an American trouser size, that is, add 10. Therefore, a pair of trousers with the British size 48 corresponds to a size 58 in Europe. For a more detailed guide on how to convert EU sizes to UK sizes, click here. There is no formal difference between Italian trouser sizes and European ones because Italy and Europe work with the same measurement system. When buying a pair, you should remember, however, that trousers made by Italian manufacturers are usually a little narrower. French trouser sizes differ. If you want to buy trousers in size 40, you must choose size 42 in France. There is thus a difference in assorted lots. Find a comprehensive size guide for Asian Clothing Sizes here. One criterion with which to classify different types of trousers is the cut. Regarding length, they can be distinguished among long trousers, 7/8 and 3/4 trousers, as well as shorts and hot trousers. In addition, trousers are differentiated according to how wide they are, what leg shape they have, or how high the waistband is. This is how, for example, trousers with a rather low waistband are called hipsters, and pants with a very high waistband are called High Waist Pants. So-called Baggy trousers are wide cut, with a waistband that sits under the hip. Baggy pants and Cargo pants have a similar cut, but Cargo trousers do not sit below the waist. Leggings, Treggings, stirrup trousers as well as drainpipe trousers, skinny jeans, Capri trousers and hot trousers have a rather narrow cut. While Capri trousers reach the middle of the calves and are usually slightly slit at the sides, hot trousers are narrow, tight shorts. Flared trousers are among the models with a narrow top and wide bottom, which are also often called Trumpet trousers because of their trumpet-like shape. To determine your trousers size, you need to measure your (1) waistband (W) and (2) leg or step length (L). Trousers sizes in the U.S. are typically labelled as W(x)/L(y) (e.g., W34/L32 or 34/32). To get the corresponding UK or EU size, you need to refer to an international size conversion chart. The waistband is always measured at the narrowest point of the body, namely the waist. For the trousers length (inseam), measure the inside of the leg, from the crotch all the way down at the level of the ankle or foot. Record values in inches and centimetres. Trousers sizes vary between the different brands and cuts. Today, no clear standards are available, which is why you need to refer to the specific size charts of each brand to find trousers that fit you best.